How often do you wake up in the morning, pour your first cup of coffee and reach for the coffee creamer in the fridge? For me (even though I drink decaf) it's 365 days a year. What kind of coffee creamer do you usually add to your coffee? Fresh? Powdered? Milk? Even though I eat as clean as possible I found myself reaching for flavored creamers with tons of junky ingredients in them. Just read the labels to see! 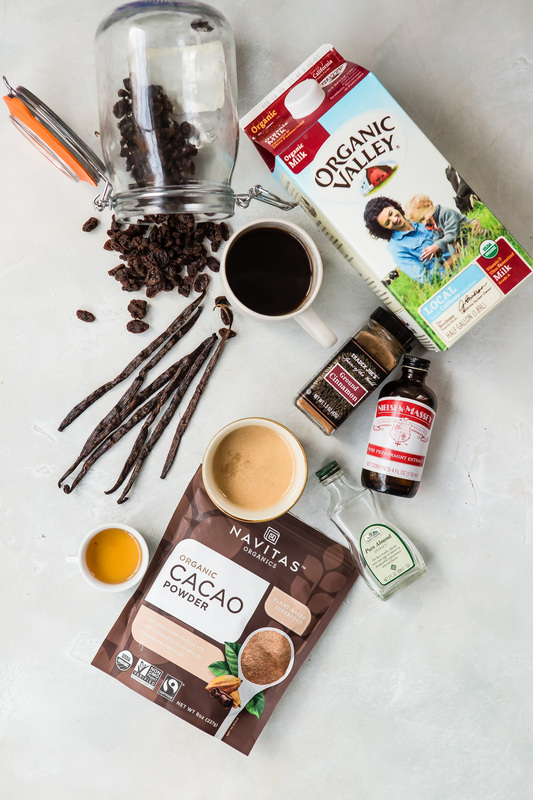 Half of the ingredients you probably can't even pronounce. This Homemade Coffee Creamer is so fresh tasting, incredibly easy to make and stays fresh in your fridge for weeks. 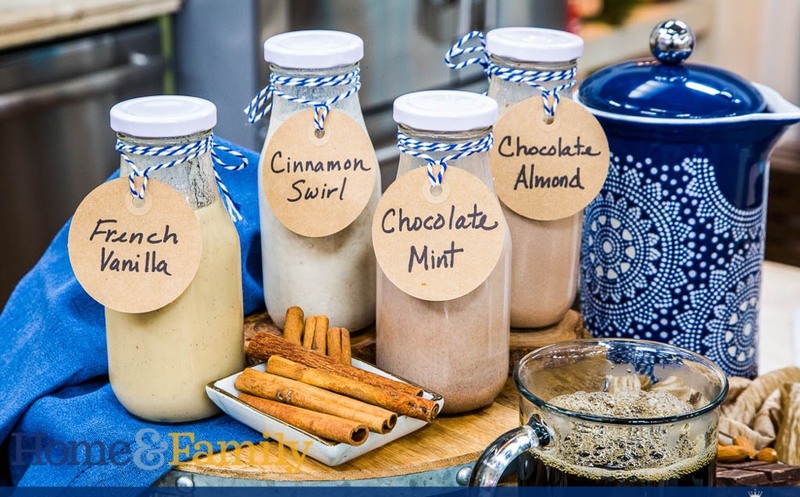 I had so much fun showing you how to make Homemade Coffee Creamer on Home and Family! Here is the recipe so you can make your own. What is your favorite flavored creamer?! 1. Place all the ingredients, including optional flavorings, if desired, in a saucepan over low-medium heat. 2. Whisk until thick, about 2-3 minutes. Cool and refrigerate until ready to use. 1. Place the milk and raisins in a bowl, cover, and soak overnight in the refrigerator. Can I use tapioca powder instead of arrowroot? So excited to try this!! Do you think you could use dates instead of raisins to make the sweetened condensed milk? I have a surpluse of dates hanging out in my pantry! I am wondering the same thing...have you found out? How long will the creamer last in the refrigerator? One week? Thanks! Nevermind! Sorry, I just read the answer in the article!! For weeks. :) Thank you!! Is there any way you could figure out the nutritional values (estimates) of the homemade condensed milk? Thanks! DO YOU NEED %100 LEGIT LOAN ? I'm going to try this but what does the arrowroot powder do for the recipe? Can we do a caramel macchiato? Just add caramel extract?